Available for perusal after November 1, 2019. 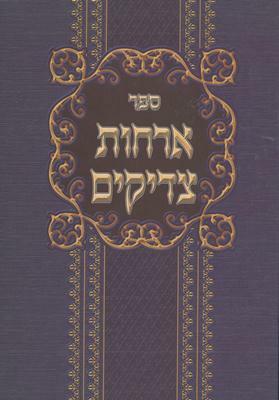 The text of Orchot Tzadikim, which translates to “the ways of the righteous,” comes from the 15th-century book of the same name on Jewish ethics. The author of the original Orchot is unknown, but in truth is less originator than compiler of wisdom, stitching together assorted teachings from the Old Testament, Maimonedes, Solomon ibn Gabirol, Rabbenu Yona of Gerona, and other influential Rabbis and Jewish thinkers. Beyond its songful cadence, the excerpt I set in this piece called to me for two reasons. First, the very existence of this text speaks to the basic project of humanity, which has remained constant through dramatic cultural change and technological advancement: in an uncertain and indifferent world, how does one live well? Second, the author reminds us not only of the value of persistence, but the tight bond between darkness and light, struggle and triumph — each making the other real by reflective contrast. After all, what is a chorus but a collection of individual lives and stories, weathering untold uncertainties and keeping the world at bay for a few hours each week to come and sing together, to sanctify a space and make it beautiful? I would not have seen the light.